According to the latest rumors, Windows 8.1 will arrive in October as a free release to existing users. This new version is expected to bring a lot of improvements and fixes. Nokia is expected to release a Windows 8.1 tablet during September, but that event may be delayed due to Microsoft's decision to launch its updated operating system during October. For now, these are only rumors, because no information has been officially unveiled by Microsoft. These rumors seem to be very close to the truth, also confirming some of the older Windows 8.1 related information we have published so far. Last month, Microsoft officials confirmed that Windows 8.1 RTM code will be delivered to OEMs by the end of August. It seems that the final version of Windows 8.1 will not be available for download to Microsoft subscribers via MSDN or TechNet, but this still may change. 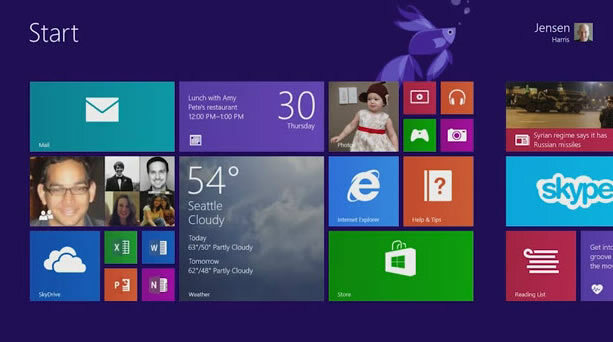 Windows 8.1 will be released to the public in mid-October and hardware using it will not be released earlier by OEMs. Some Windows 8 devices may not be able to run Windows 8.1 properly, since its hardware requirements will be slightly changed. The most important changes in this update are the reintroduction of the Start button, a boot-to-desktop option and the addition of tutorials and tips to help users get the best out of their OS. We will get back to Windows 8.1 as soon as Microsoft decides to reveal more information about its final version.